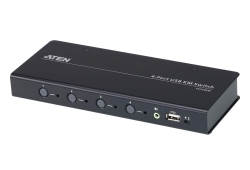 ATEN CM1284 4-Port USB HDMI Multi-View KVMP™ Switch improves the operational efficiency of real-time monitoring. 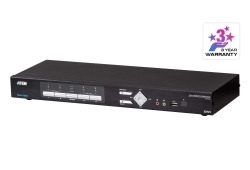 The CM1284 allows users to manage the data more efficiently by allowing multiple sources to be selected, switched, and displayed at the same time with independent keyboard and mouse control. 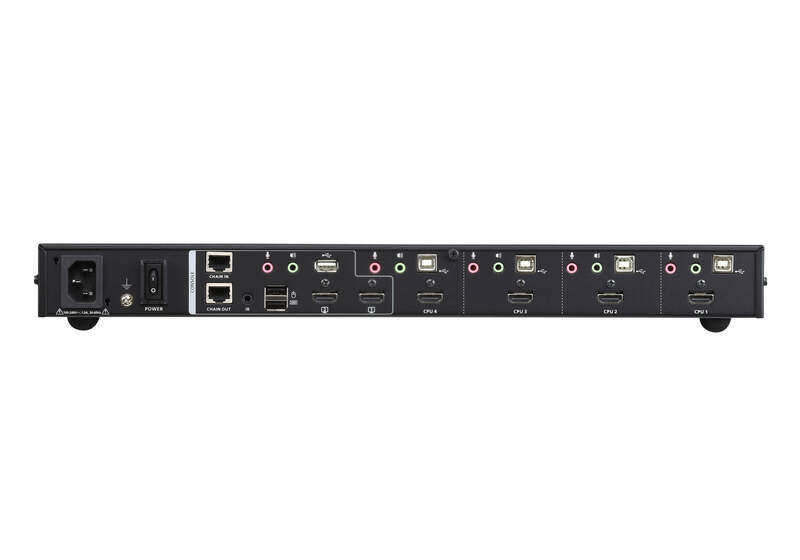 Advanced video support provides a better-defined HDMI connection with video resolutions up to 4K (4096 x 2160 @ 30 Hz). The CM1284 guarantees users a real-time monitoring functionality by offering dual outputs on console side. One provides the following display modes: Quad View, Picture in Picture (PiP), Picture by Picture (PbP), Picture on Picture (PoP), and the other one provides Full Screen mode. 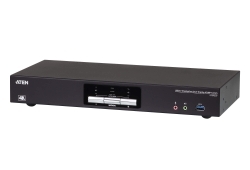 Featuring Boundless Switching, the CM1284 allows users to simply move the mouse cursor across windows to switch to other video sources. 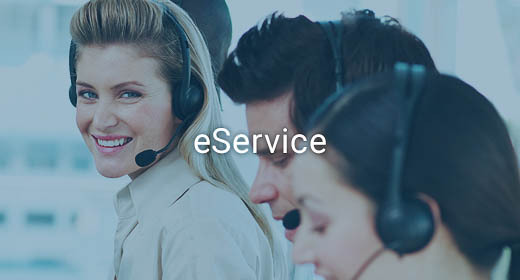 This makes it easier to instantly access and control the target computer. 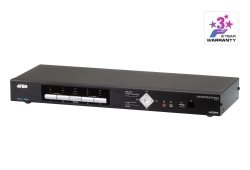 Incorporating Daisy Chain Control (DCC) capability, users are allowed to control up to 3 additional CM1284 units via a single console. 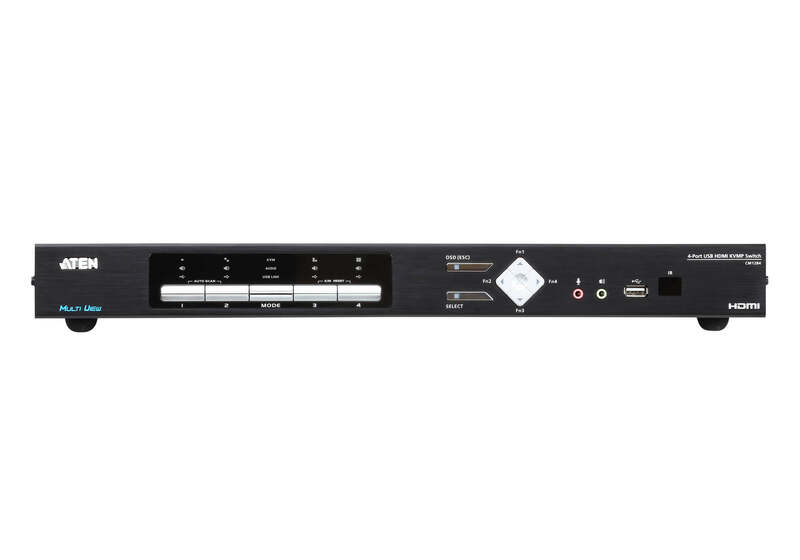 In addition, CM1284 can be cascaded up to 2 levels to reach the maximum of 16 video sources to be simultaneously selected, switched, and displayed with independent keyboard and mouse control. 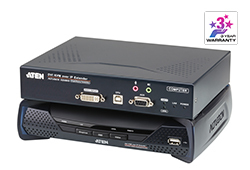 Engineered to meet the ever-increasing demand for multi-view functionality, the CM1284 is specifically designed for where real-time monitoring is needed such as aviation industry, financial trading, and medical application.